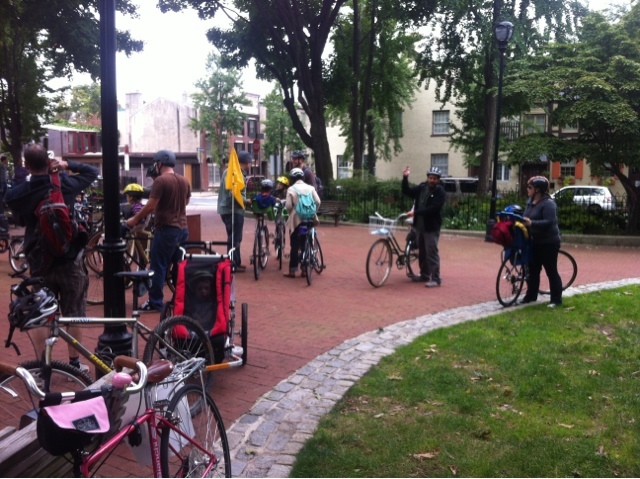 Last weekend a friend and I planned, I think the first Kidical Mass ride in Philadelphia. 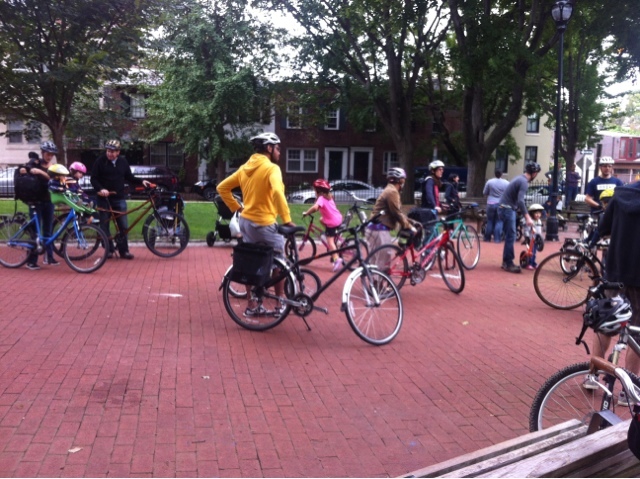 Kidical Mass is a play on Critical Mass, a ride that is often known for crazy bicyclists that are not too family friendly. However both are to draw attention to bikers on city streets. 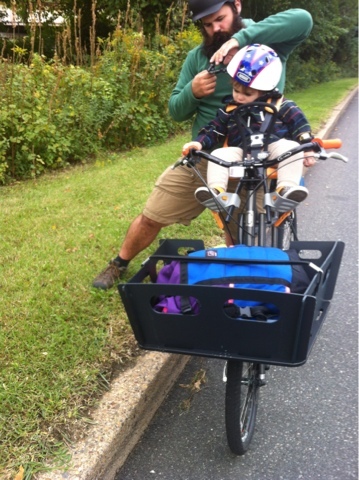 Kidical Mass is a fun, legal and safe ride looking to remind our neighbors that kids are traffic too. We had a great turnout of thirty or so people. 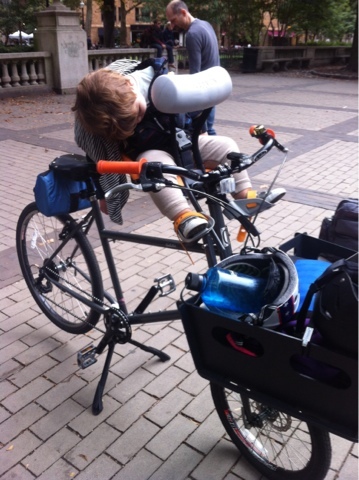 Including kids in bike seats, kids in trailers, on cargo bikes and big kids on bikes also parents riding too. It was a great 3.5 mile route and at the pace with the kids we did it in about a hour. Everyone had a great time or so it seemed. 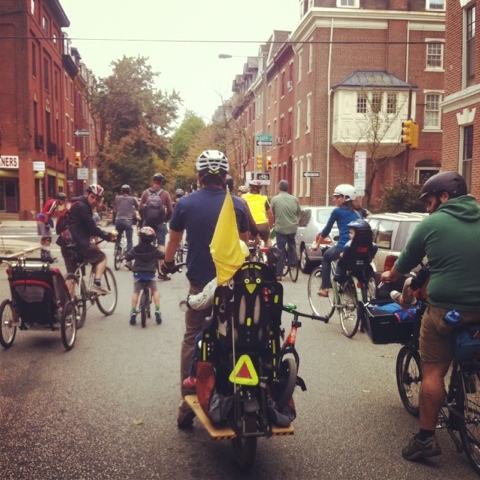 I got a great email from a fellow parent biker ( and owner of a lovely big dummy) yesterday letting me know that one of the big kids who had never ridden off his own block gained so much confidence riding with the group he rode back home from Rittenhouse to West Philly. 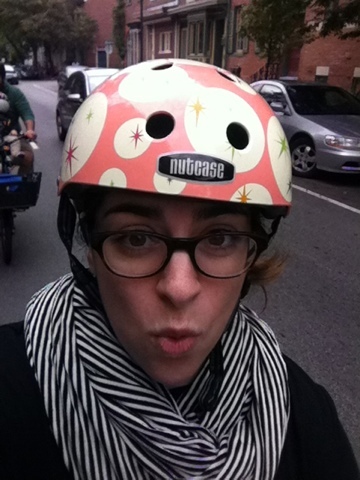 I know adults scared to bike in the city. That little guy is awesome! Join our Facebook group or follow our Wordpress for more future rides.